Wild: Much like the Island's other large theropods, Megalosaurus noctedominus is an aggressive carnivore that should not be taken lightly. Unlike most of the other theropods, it is a primarily nocturnal creature. As dawn approaches, Megalosaurus begins looking for a secluded place to spend the day sleeping in relative safety. 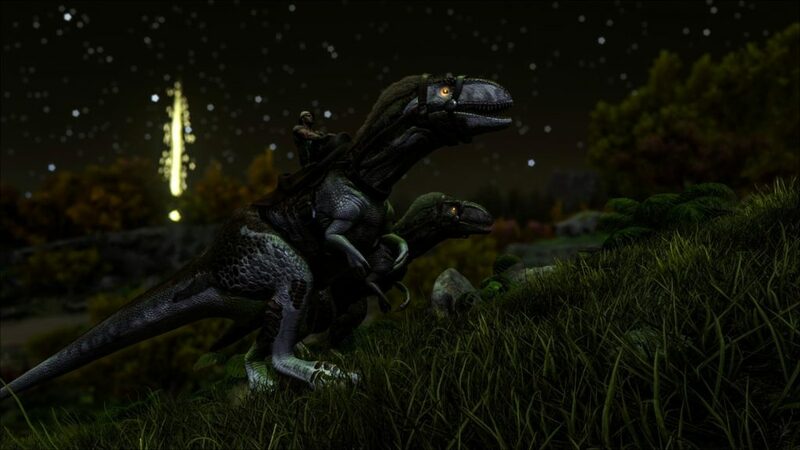 Domesticated: While Megalosaurus is not the most powerful theropod, it is still highly sought after by night-raiders. 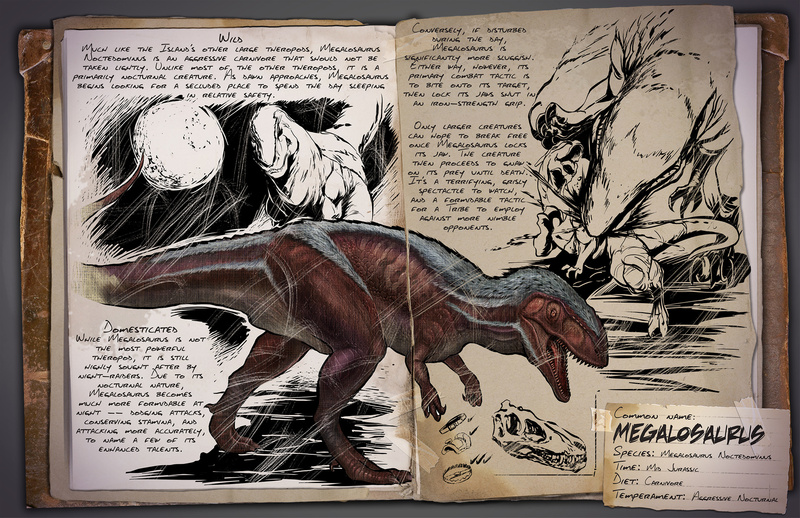 Due to its nocturnal nature, Megalosaurus becomes much more formidable at night -- dodging attacks, conserving stamina, and attacking more accurately, to name a few of its enhanced talents. Known Information: Conversely, if disturbed during the day, Megalosaurus is significantly more sluggish. Either way, however, its primary combat tactic is to bite onto its target, then lock its jaws shut in an iron-strength grip. 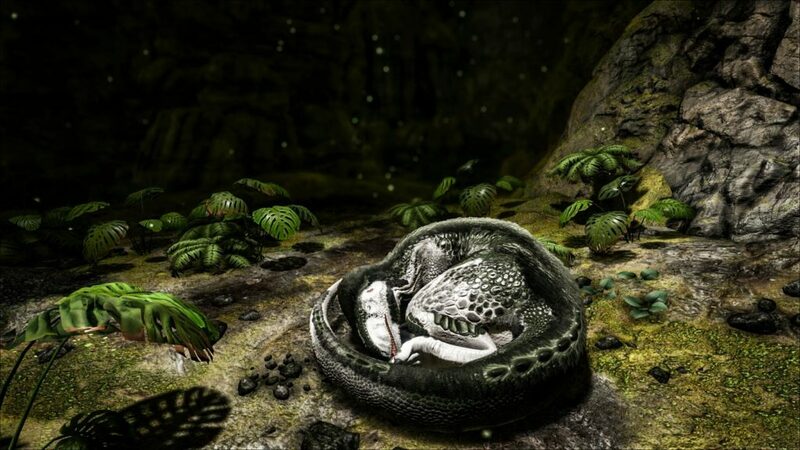 Only larger creatures can hope to break free once Megalosaurus locks its jaw. The creature then proceeds to gnaw on its prey until death. It's a terrifying, grisly spectacle to watch, and a formidable tactic for a tribe to employ against more nimble targets.